Every year gadget geeks and tech junkies from all over the globe descend upon Sin City for the annual Consumer Electronics Show, also known as CES. As our technological prowess continues to grow exponentially, this show looks less like a technology convention and more like a scene from a science fiction movie. Since many of the clients we work with are in the tech industry, we take great pride in partnering with some of the most innovative companies in the world. To celebrate the companies and innovators that make our lives better, I am going to break down 10 gadgets and gizmos at this year’s CES that we are most excited about (in no particular order). If you haven’t seen a 4k video on a 4k display, it’s really indescribable. The major beef is that there just isn’t a lot of 4k content out there yet because there are no major motion pictures being filmed in ultra high def, nothing is being broadcast in 4k, and access to 4k downloadable content is scarce. 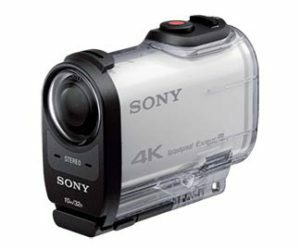 Sony is trying to change all that with this beautiful 4k camera, perfect for strapping on a drone or hooking up to a helmet. Unlike the GoPro, this camera gives you the “snap on to anything” functionality along with a more traditional camcorder experience all wrapped up into one device. This compact camera comes with a waterproof and shock resistant case, and touts an impressive 4.5 hour battery life. The $500 price point may seem steep, but to drone aficionados seeking 4k quality video recording, this camera is well worth the money. Ok, so have I mentioned how cool 4k is? Last year we saw a legion of bendable displays, but this year LG unveiled the granddaddy of all 4k curved TVs, and this giant actually transforms into a flat screen at the touch of a button. 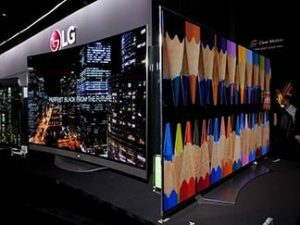 Currently sporting a price tag of nearly $20,000.00, it’s going to be at least a year before this display hits mainstream use, but with this spectacular unit LG has given us a glimpse into the future of television. LG ditched Quantum Dot technology and went straight for the incredibly vivid picture quality and energy efficiency of OLED. The tv itself is thinner than a no. 2 pencil, coming in at a shocking 4.5 mm from front to back. Once Hollywood, cable, and streaming services get with the 4k revolution, displays like this one are going to make movie theaters obsolete. We are inching closer and closer to the end of cable television. As prices go up and customer satisfaction goes down, consumers are starting to ditch cable altogether and get by on a steady diet of Netflix, Hulu Plus, Amazon, HBO GO, torrents, etc. The major complaint against traditional cable television is legitimate, why pay for a bunch of channels you literally never watch? A reasonable gripe, especially considering the average cable package with HD channels is well over 100 dollars nowadays. Well fret no more because the folks over at Sling TV have your answer. For just 20 dollars a month they offer a package of popular channels including ESPN, ABC, AMC, FX, and more. They even have a few on-demand options for movie buffs. It’s not perfect, for instance Sling TV doesn’t allow customers to stream live NFL games, but it’s a great start to keeping up the momentum of the cord-cutting movement. As more and more products like this start hitting the consumer market, at the very least it should help keep cable companies in check and prices lower; however, if it continues to grow and offer more options, the days of shelling out hundreds of dollars for cable packages may be over sooner than we think. Everyone dreams of a day when we can jump in our car, lay back, take a nap, have a cocktail, or watch a movie…all from the comfort of the driver’s seat. With the Google Car just a few years away from full functionality, and possibly even commercial production, the dream of autonomous driving is closer than ever to becoming a reality. With that inevitable future inching nearer every day, Mercedes Benz decided to build a concept car unlike anything I have ever seen before. 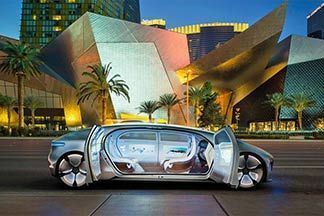 The F015 is less like a car, and more like a living room on wheels; in fact, during his presentation Zetsche states “The car is growing beyond its role as a mere means of transport and will ultimately become a mobile living space.” The interior of the car definitely echoes his sentiment. The two rows of seats actually face one another, with the front row offering the option to pivot to a forward-facing mode, allowing the passengers to have an interactive experience with one another while the car does all the navigation and driving. The overall look of the car is slightly over the top, but that’s the point of a concept car, right? Autonomous vehicles have the potential to fundamentally change society. Traffic deaths, traffic jams, and overpriced car insurance bills could all be eliminated when this technology realizes it’s full potential. Click here to watch the unveiling. Virtual Reality burst back onto the scene a couple years back, as Oculus Rift went from dev nerd forum fodder to full-on mainstream gamer obsession. I actually had the privilege of testing one of the first models at a friend’s house years ago. Even the early version with it’s outdated PSone level graphics was mesmerizing. The immersion that these amazing devices provide the user is indescribable, sometimes even disorienting. Fast forward 2 years and a fat 2 billion dollar check from Zuckerberg later, and you’ve got Oculus Rift Crescent Bay. With full HD quality visuals and a multi-directional treadmill, Crescent Bay is a glimpse into the future of VR. 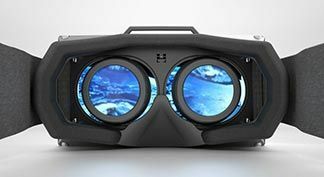 The popularity of the Rift at CES 2014 pushed other companies to begin development on their own VR sets too, including tech juggernauts like Samsung. This is great news for consumers, because competition in the tech world drives innovation and keeps prices reasonable. While mass production of this incredible set is still a year or two away, once it does reach the market it’s going to make a huge splash and it has the potential to change the way we think of video games, movies, and possibly even television. Imagine watching your favorite quarterback play from the sidelines, or watching March Madness from the bench…yeah, my heart just skipped a beat too. CES proudly displayed an unprecedented swarm of new and innovative drones this year. With so many to choose from, picking a favorite was very difficult. 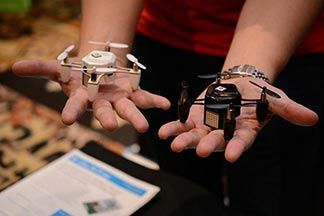 The Zano drone stood out to me for several reasons, the most outstanding being the amount of technology that they were able to pack into a palm-sized quadcopter. Due to an incredibly successful Kickstarter campaign, Torquing Group has made some modifications to the traditional drone model that really separate the Zano from the rest of the flock. First, Zano’s tiny size allows for some really cool indoor video and pictures that we can’t really get with the “traditionally” sized drones that were prevalent throughout the showroom floor. Secondly, it’s built-in 5 megapixel HD camera means you won’t have to shell out an extra couple hundred dollars for a GoPro and camera mount, making the Zano ready for use straight out of the box. The multi-purpose LED array on the front can show the user menu animations (including a very cool countdown timer for selfies) as well as a kind of spotlight for low-light recording situations. The copter is controlled via smartphone app, with several different flight modes like free flight, hover, follow, and an especially interesting “swarm” mode that allows the user to control multiple Zano drones at once; allowing for some multi-angle videos that are perfect for extreme sports enthusiasts. The only drawback is that the tiny battery only gets about 10-15 minutes of continuous flight time, an issue which they have addressed by fitting the drone with an easily accessible battery port so that you can carry multiple backup batteries and just switch them out when it runs out of juice. The Zano is set to ship to consumers in July for a very reasonable price point of $260.00. There has been a long-standing war within the gaming community for over a decade between PC gamers and console gamers, both claiming the throne of gaming purist; however, within the past few years the lines between the two are getting blurry as a number of Steam machines enter the market and offer gamers the best of both worlds. 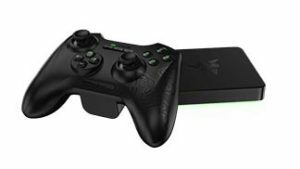 Razer sticks out to me because of it’s main feature dubbed Cortex:Stream. This tech allows you to stream high resolution PC games straight to your big screen via a wireless connection without the incredibly frustrating latency of similar systems. Also, it pairs with Android TV (for a $40 monthly subscription) and gives the user access to thousands of apps that make your Forge an entertainment center complete with the obligatory Hulu, Netflix, YouTube, and similar streaming services that cord-cutters across the nation demand. Razer also offers the essential mouse and keyboard accessories powered by bluetooth connectivity, as well as a more traditional console gaming controller, pictured above. The TV box alone will run about $100, with a $150 dollar option that bundles the controller with the Forge box. These boxes are set to start shipping around March of this year. Klipsch has long been in the forefront of innovation and has dominated the discussion boards of audiophiles everywhere. 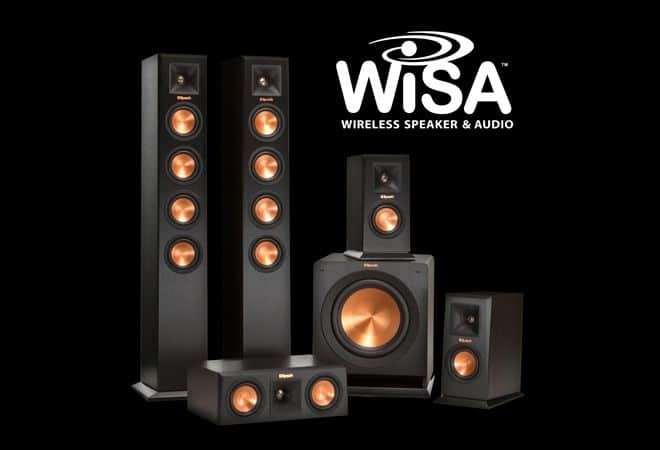 With WiSA enabled technology, Klipsch revealed their most ambitious audio system to date on the CES 2015 showroom floor. Meet the Klipsch Reference Premiere Wireless Home Theater System, the first home theater system from a U.S. company that is completely wireless, built around a small transmitter no bigger than your typical router. No need for bulky A/V receivers, no wires, no external amplification. Game changer. Home Theater enthusiasts have struggled for years when planning an assembly, forced to run wiring through walls, hide receivers in separate rooms, tuck wires under floorboards, anything they can do get that clean look everyone strives for. This makes an already expensive endeavor even more costly and time consuming. Well the folks over at Klipsch spent the last four years solving this issue, while refusing to sacrifice the crisp clarity and room shattering low-end that they have come to be known for. The system is capable of churning out 24 bit/96kHz audio, and can handle up to 7.2 channels of surround from your Blu-Ray, TV, or cable/satellite boxes. They haven’t released an official price point quite yet, but don’t expect them to be cheap…..1 dollar Bob. 3D printing is in its infancy stages of use and development, yet proponents have already started hinting that this new technology may have the potential to change the world as we know it. There was already a Chinese company that used leftover “ink” to 3d print a 5 story building. Yes, you read that correctly. There were quite a few 3D printers on display at the showroom floor in Vegas this year, but the MakerBot: Replicator is the one that really caught my eye. 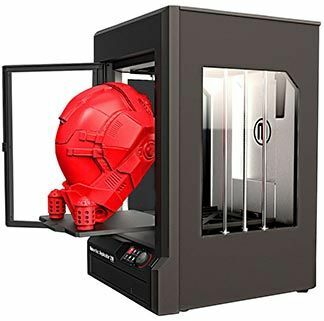 With it’s sleek design, 3.5 inch color LCD screen, wickedly cool stereo-style dial, USB and ethernet ports, built-in WiFi, and even an on-board camera for sharing your diabolical creations fresh out of the oven, this 3D printer is the most user-friendly machine to date. For geeks like me, I get a little giddy when I think about creating an entire fleet of starships on my next snow day, or mini Star Wars action figures, perhaps even I’ll start a lucrative business where I print 3D printers and sell them on Ebay (I am kidding of course, it doesn’t quite work that way….yet). So if you’re looking at taking up 3D printing as a new hobby, $2,900.00 will get you up and running when these start to ship next month. Call me, I have some ideas. I wanted to finish off this little list of awesome gadgets with something a little weird, yet still incredibly useful, unlike the self-adjusting “smart” belt that got rave reviews for reasons I can’t even begin to explain. Wearables have been met with either overhyped praise or overly-dramatic cynicism since they began to flood the market early last year, but the Mimo Smart Baby Monitor is truly a wonderful little invention. Half Fitbit for babies, half stress reliever for overprotective parents, the Mimo takes the intrigue of wearable tech and applies itself to make a highly functional and smart product. 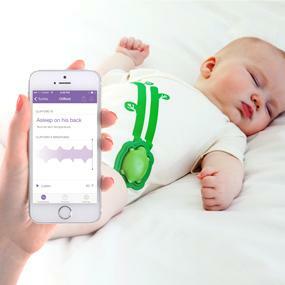 Utilizing the Mimo app, available on Android and iOS, the monitor is built into the baby’s onesie and allows the user to track their child’s body position, breathing, sleeping habits, along with the more traditional built-in microphone to listen in on your little one’s coos and cries. This little wonder is even machine washable and can be tumble dried in standard appliances. With cloud connectivity, as long as your baby is near a WiFi signal you can track their data from anywhere in the world. The sensors are cleverly disguised as a turtle on a lily pad, and because everything is waterproof it’s nearly impossible to break. There are a variety of sizes to choose from based on the baby’s age, and each package comes with multiple kimonos, a bluetooth sensor turtle, a lilypad, usb cord with wall adapter, and an audio cable for programming. Packages start at $200.00, and you can even get a twins set for $270.00. Well that’s it for this year’s CES wrap up. All of us here at Tetrafab are looking forward to seeing where these innovations take us in the year to come, and we hope to see you in Vegas next year!